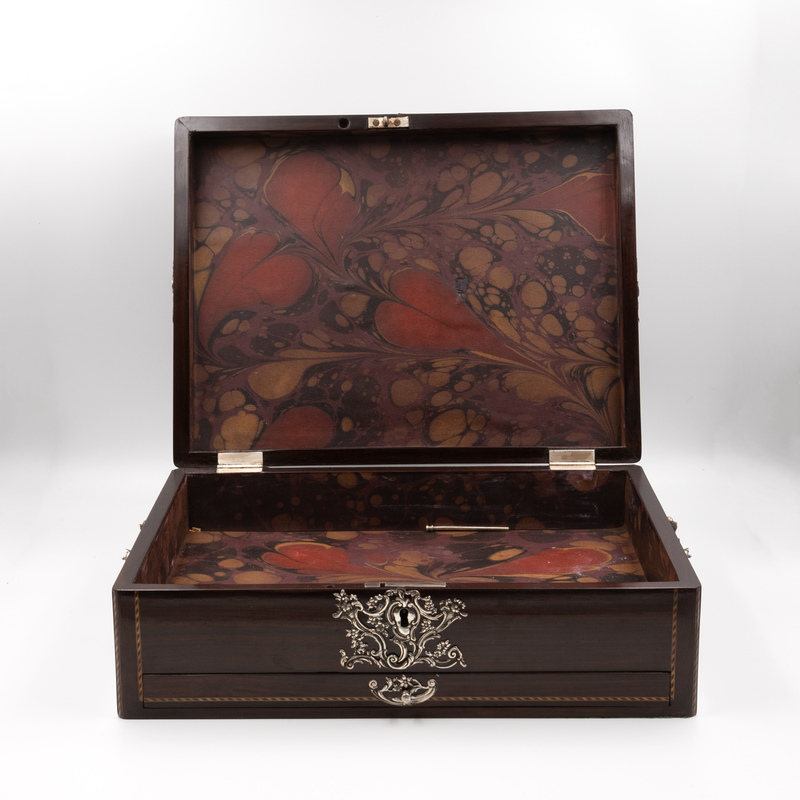 Home / Folk Art / Military Memorablia / Rosewood Document Box With Inlay Banding & Sterling Silver Accents, Scotland, Circa 1850. 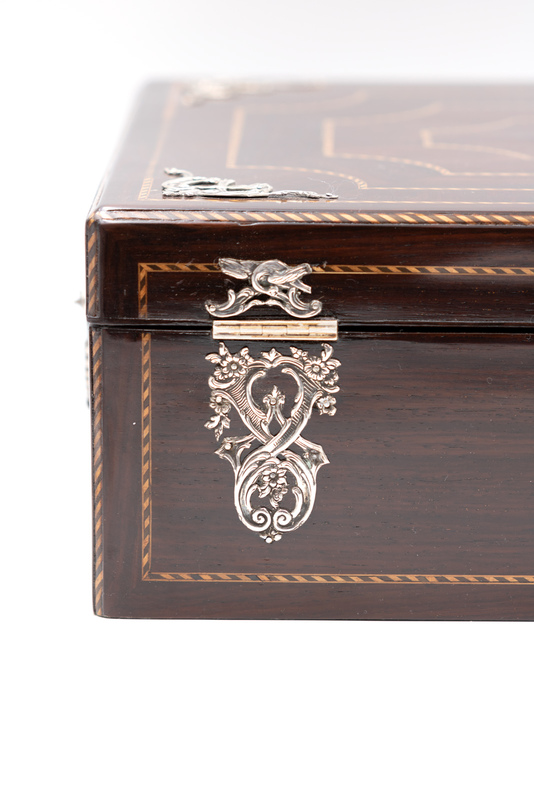 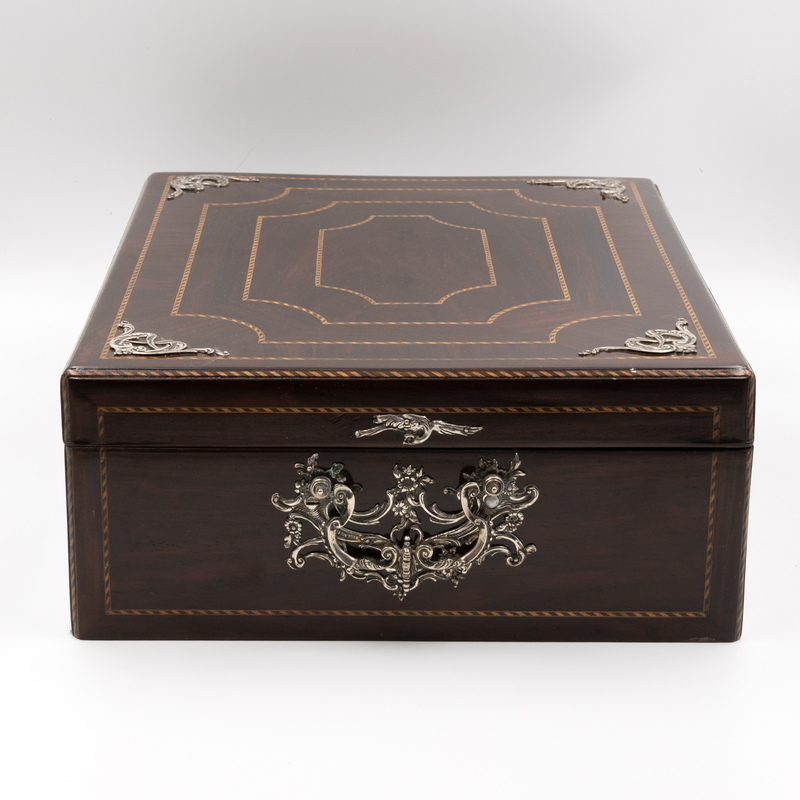 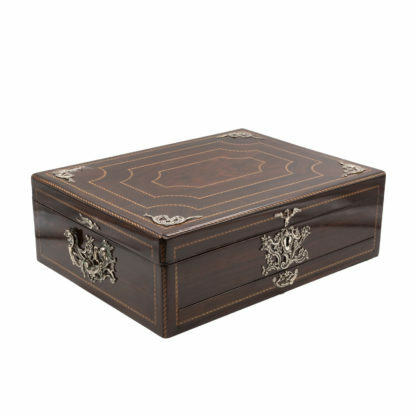 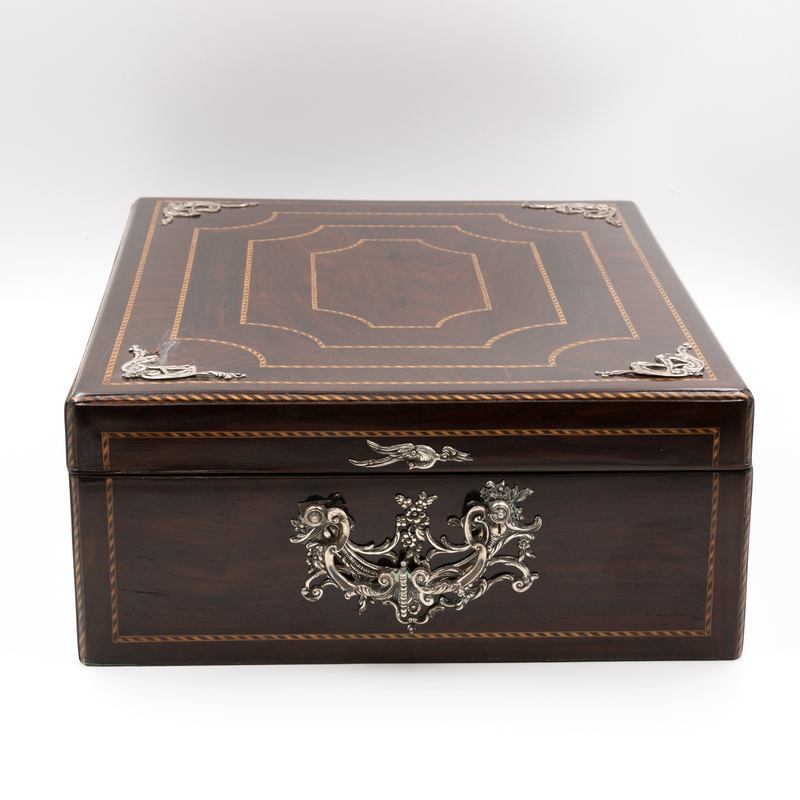 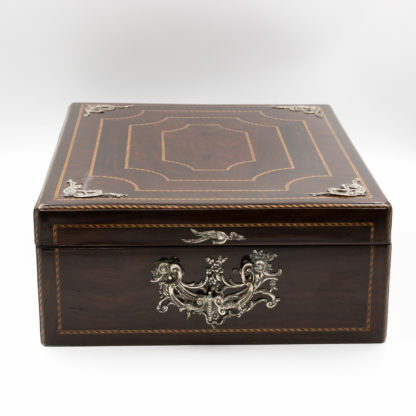 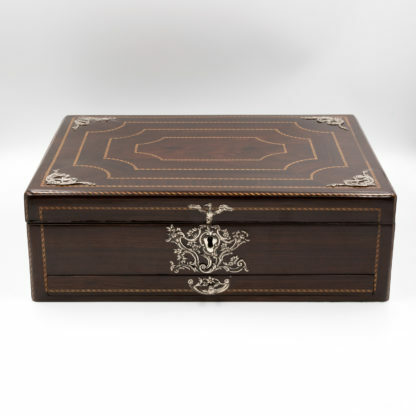 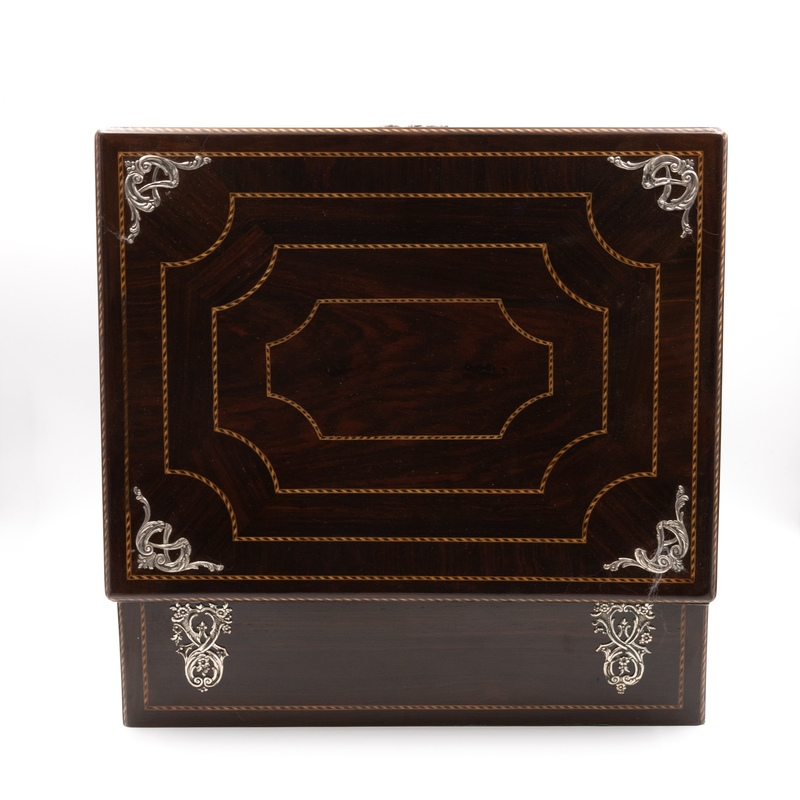 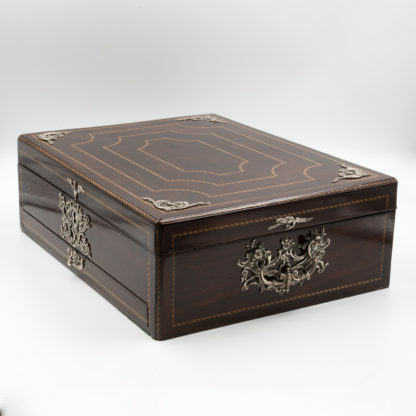 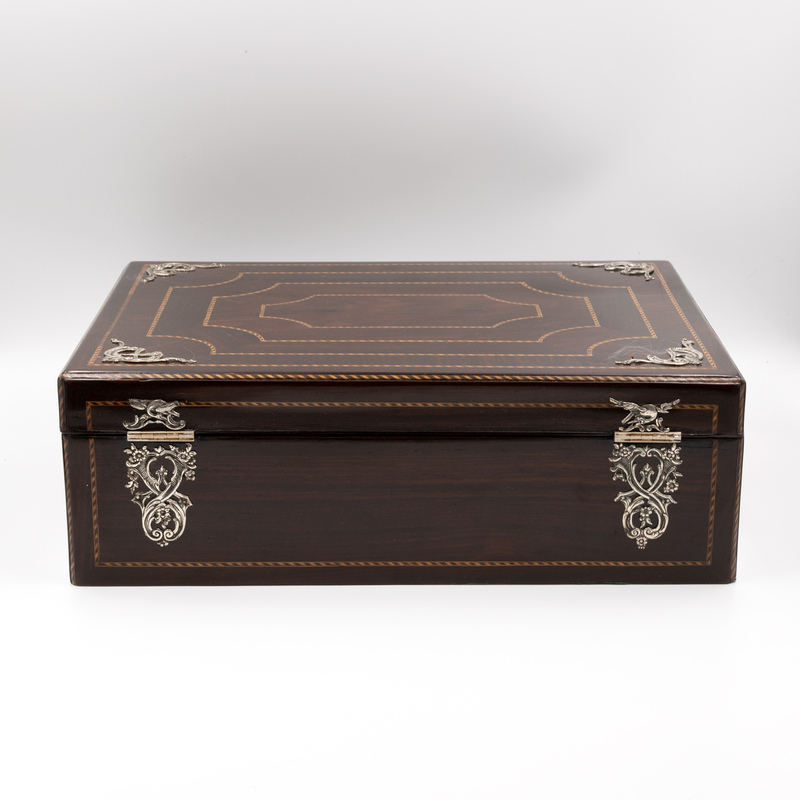 Rosewood Document Box With Inlay Banding & Sterling Silver Accents, Scotland, Circa 1850. 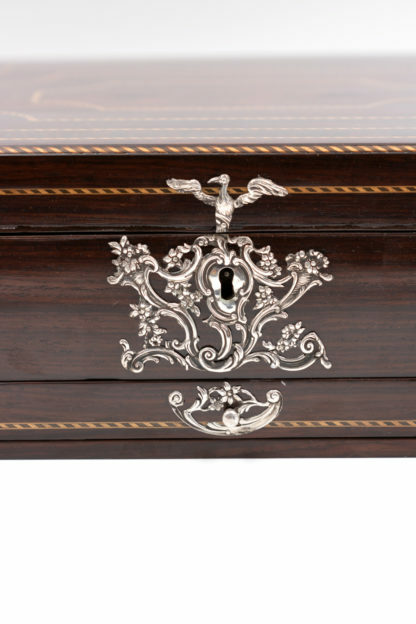 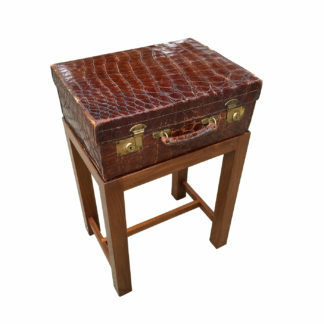 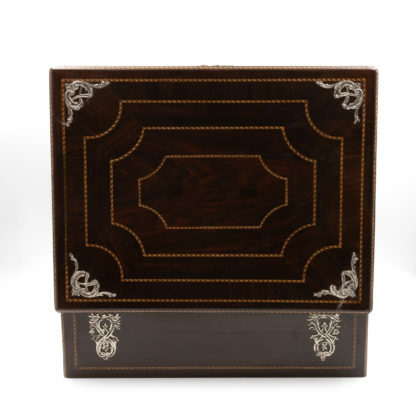 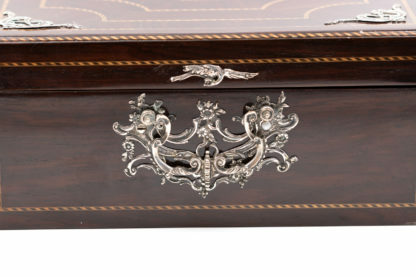 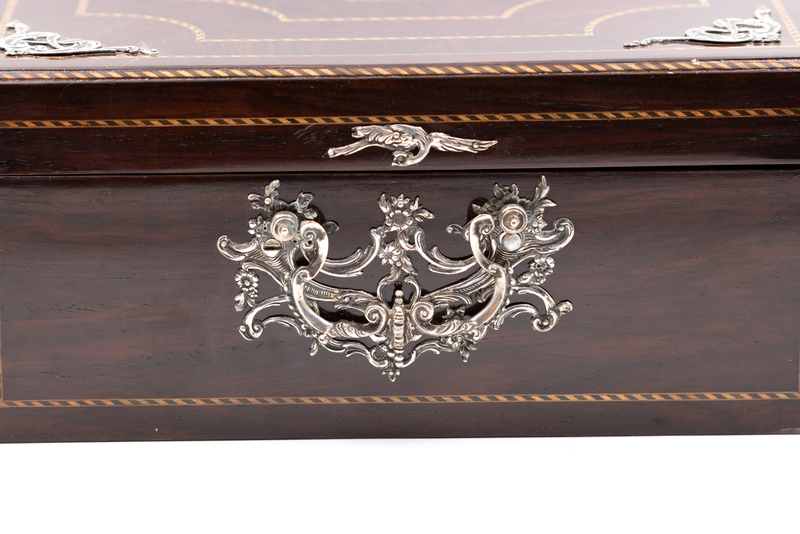 An exceptional vintage rosewood document box with four concentric with inlaid satinwood and coromandel bandings, sterling silver accents which incorporate detailed & animate decorative motifs of five eagles and a silver escutcheon, lock, hinges and locking pin, interior lined with marbleized paper; Scotland circa 1850.
height: 5 in. 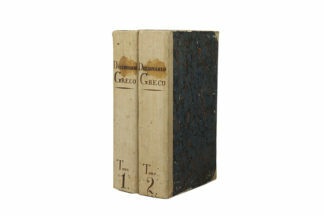 13 cm., width: 14 in. 35.5 cm., depth: 10.5 in. 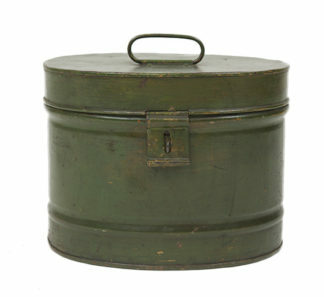 26.5 cm.